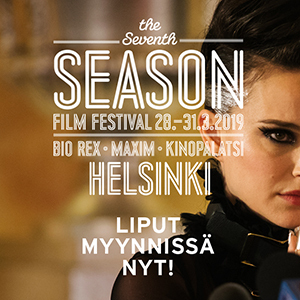 The screening on Sept. 22nd is dubbed in Finnish, while the other screenings are in Japanese (original version) with Finnish and Swedish subtitles. Your eyes might never be the same after seeing Mary and the Witch’s Flower. [I]ts eye-popping cavalcade of creations and colors speak not to the shock and awe of technology but to the can-do magic of human achievement. […]The charm of a fantastical hand-drawn work like this is that it reconnects us to the primal wonder of the image. […] [T]he two-dimensional, hand-drawn images of Witch’s Flower […] seduce us with the knowledge that they were created by somebody, that they sprung from an imagination. Virtually all the ingredients that have made Studio Ghibli movies so appealing around the world ¬– a wide-eyed young protagonist, a freewheeling supernatural adventure and clean, colorful animation drawn by hand – combine to form the first feature from Studio Ponoc, a new independent Japanese anime company formed by Ghibli veterans to carry on the kind of high-quality animation of their former workplace. True to that mission, director Hiromasa Yonebayashi delivers a family-friendly treasure every bit as enchanting as his two previous films, Arriety and When Marnie Was Here [HIFF 2015] (both made at Ghibli), with this tale of a clumsy redheaded girl who’s mysteriously granted access to an exclusive Hogwarts-like school for witches.